Low density monoculture of milkfish was demonstrated a farmers pond at Madanganj, Namkhana to evaluate production performance in a brackishwater pond of West Bengal. 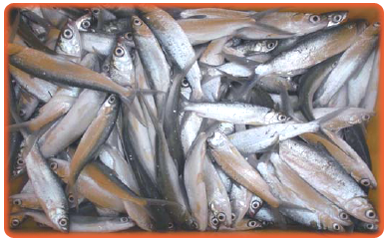 Milkfish, Chanos chanos is not naturally available in West Bengal coast. Milkfish advanced fingerlings (29.81g) were stocked @7000 nos./ha and were fed with a mixture of rice bran and mustard oil cake (1:1) @2-3% body weight daily. After 10 months of culture, the fishes were harvested. The fishes attained a final average size of 282g and a yield of 48.50 kg was obtained with a productivity of 1620 kg/ ha and 61% survival. The production was significantly higher than the high density (25,000 nos/ha) farming conducted at Bhuvan Nagar, Kakdwip during 2007-08,where productivity of 661.76 kg/ha was achieved with 42% survival. This demonstration exhibited that milkfish monoculture is an economically viable venture with a net return of Rs.0.83 lakh/ha.